The proportion of young people who complete a traineeship and move on to an apprenticeship has risen but it still sits below 40 per cent. A pre-employment programme, traineeships were launched five years ago in the government’s drive to support low-skilled unemployed people below the age of 25 onto apprenticeships. But interest – which was never massive in the first place – has been flagging lately: starts fell from 24,100 in 2015/16 to 20,300 in the last academic year. Part of the problem has been confusion over their purpose. It was never specified that traineeships should primarily be to prepare people for apprenticeships, and the government also accepts progression to a job, further full-time education, or other training as acceptable outcomes. FE Week reported on concerns last year that the proportion of progressions to apprenticeships had fallen below 20 per cent in 2015/16, but things have now somewhat improved. The Education and Skills Funding Agency has said the rate stood at 37 per cent in 2016/17, or 3,620 of 9,760 total progressions. “Any increase in traineeships leading to apprenticeships is welcome – it comes on the back of persistent pressure from our front bench and a range of stakeholders, including FE Week itself,” said the shadow skills minister Gordon Marsden. “There is still a huge way for this government to go – they are not even yet at 40 per cent yet. The overall rate of progression is less encouraging in 2016/17. If total starts are compared to total progression, the figure is 48 per cent, meaning that just over half of all trainees failed to progress to any desired outcome. Mr Marsden hosted a parliamentary event with the Association of Employment and Learning Providers in January, in which he attempted to renew enthusiasm from the government and the wider sector for traineeships. Qube Learning was among the providers present, and admitted at the time that there is a problem with perception. The company’s boss Joe Crossley was pleased to learn this week about the improved progression rate. 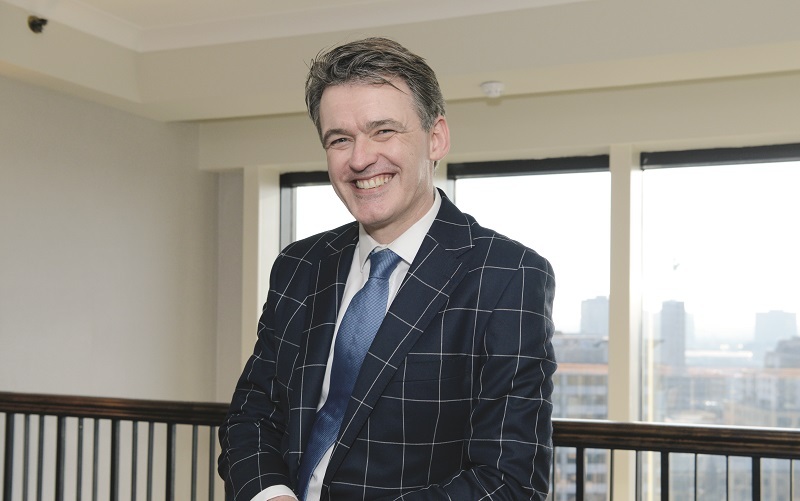 AELP boss Mark Dawe was also heartened by the upturn in progressions. “But AELP still firmly believes that getting a job or some further education is an equally positive outcome from the programme for young people, who often come from a very disadvantaged background,” he added. The government has launched a new social media campaign to promote traineeships. 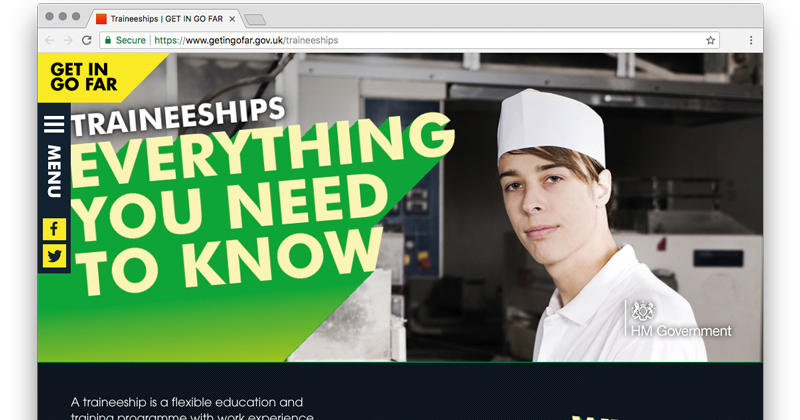 It is part of its existing ‘Get in go far’ drive which it has already used to spread the word about apprenticeships through Facebook and Twitter. This new branch of the campaign will operate under the slogan ‘Traineeships: Everything you need to know’. The campaign states that “traineeships are designed to help young people aged 16 to 24 who don’t yet have the skills or experience needed to get an apprenticeship or job”. “Traineeships are providing great opportunities for young people to get the skills and experience they need to get apprenticeships and other jobs,” said a DfE spokesperson.